I have finally had some time to do some work on my long going project with Phase 5 Blizzard PPC (BPPC). While I was travelling I had some time to play with Google Sketchup so I cretated a new Heatsink that will replace the original one on the BPPC. 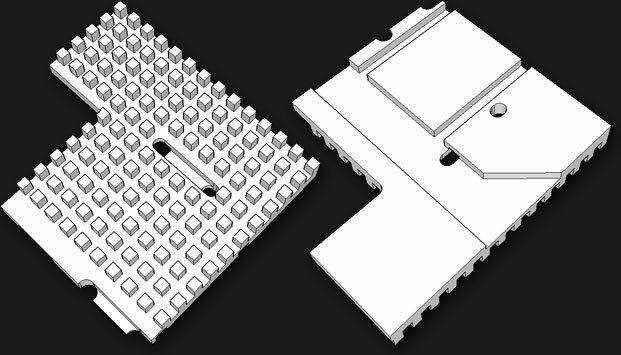 The original heatsinks are made of aluminum and this will be made in copper. The major reason is that copper is nearly 100% more effective on thermal conductivity than aluminum. The major changes from the standard heatsink accept the added “piggy back” are the following. Together with the “piggy back” the height of the heatsink has increased by 4mm. Extension of close to the CPU connector to add extra area (Green color). The air duct channel are made more wide so it will be more effective (Red Color). 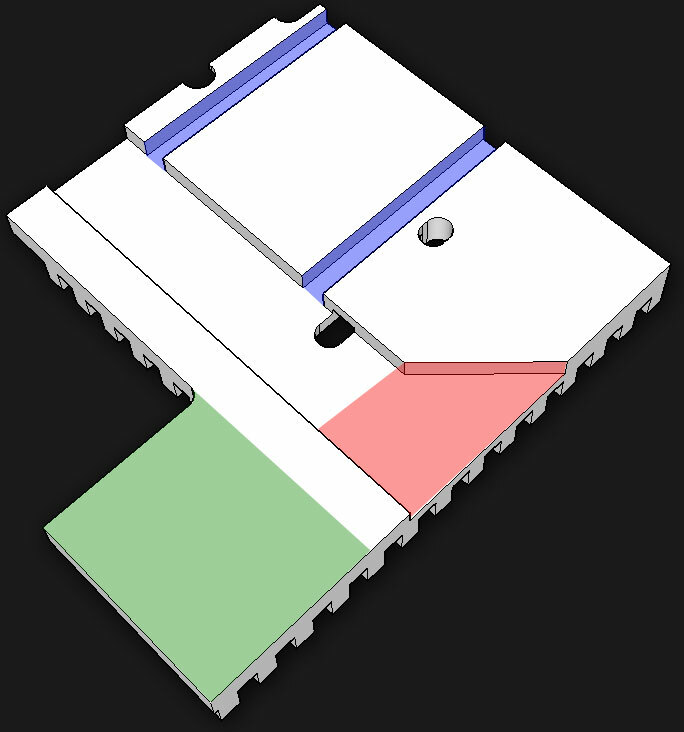 The air duct channels at the sides of the 603e PPC CPU has greater width and depth (Blue Color).